The Louis Vuitton’s women’s spring-summer 2019 collection showcases a myriad of forward-thinking fashion that takes its admirers on a journey through various landscapes. The exaggerated silhouettes paired with futuristic and art-inspired details create a motif of adventure and exploration. The collection encompasses a desire to empower women in clothes crafted to celebrate strength and imagination. From dramatic voluminous sleeves to colorful, space-age prints, the collection is a step into the future. And, there’s no better way to travel than with the Janet Ankle Boot, a key piece for every woman to have in her closet this spring. The Janet Ankle Boot combines black calf leather with a ruffle in Louis Vuitton’s iconic Monogram canvas. Its assertive yet feminine style is distinguished by its angular silver-tone buckles, LV-engraved closure, pointed toe and shifted-back stiletto heel. The boots pair well with a variety of looks in the collection and will mix right in with any existing wardrobe. Add one of the collection’s new colorful handbags to your look for a striking head to toe statement. 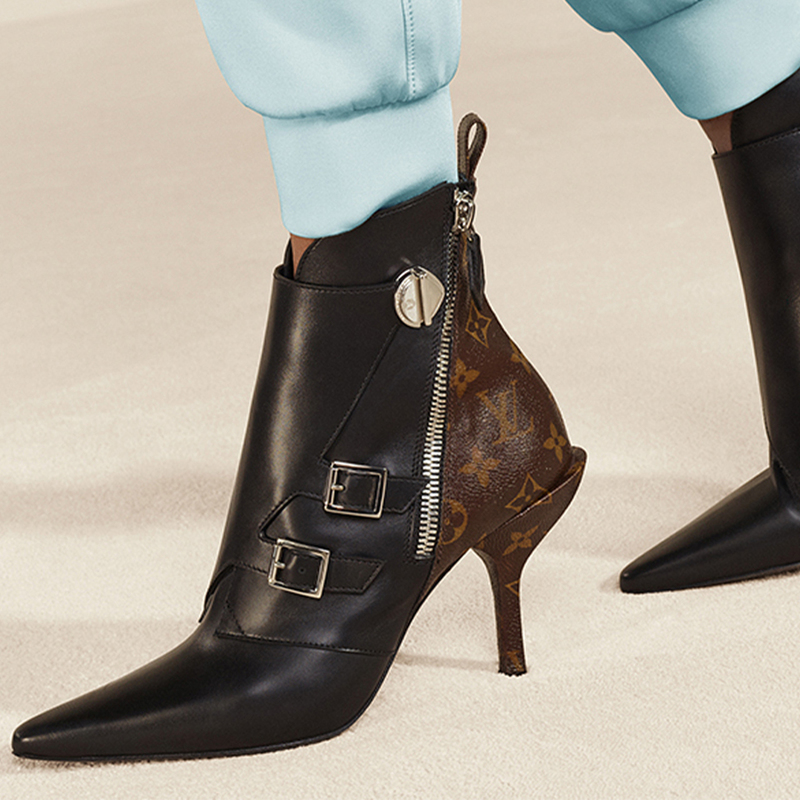 Discover the Janet Ankle Boot and the women’s spring-summer 2019 collection now at the Louis Vuitton store on the lower level near Nordstrom.